Examining organisational strategies in the creation of real and virtual spaces, it identifies literary works by novelists who have resisted, or subverted, plot conventions in fiction (Joris-Karl Huysmans, Edmond de Goncourt, Xavier de Maistre and Neal Stephenson), and introduces architectural spaces such as Thomas Edison's film-studio Black Maria, and the plotless productions of early cinematography, to juxtapose concepts of plot and spatiality in a study of the production and consumption of pre-digital virtual spaces. 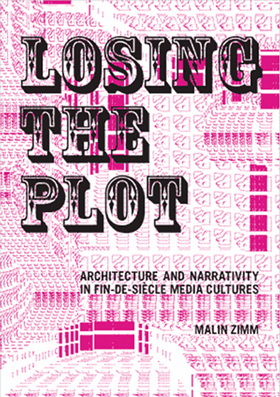 Plot here relates therefore both to narrative sequentiality and spatial organisation – from "storyline" to "ground plan". The "plotless" narrative structure of Huysmans, Goncourt and de Maistre focuses on the interaction between man – the "writer-in-residence" – and his domestic interior, functioning as an excitant or stimulant for the production of both material and imagined spaces.The media culture of late 19th century society saw the first significant attempts at moving image technology and its related spatialities – the Black Maria, the kinetoscope, the kinetograph, and the films produced by these, which had yet to find a narrative form. The architecture of the plotless novels and the proto-cinematic experiments of the late 19th century modulate between physical reality and fiction. They are ripe in their descriptive narrativity, expanding in the imagination of the consumer. Stephenson's imaginative transposition of book media into a "Primer" – a new form of narrative media that develops its narrative content directly from the environmental context of its reader – concludes the discussion of the thesis, highlighting interrelations between fictive and real space, influencing both writer and reader. The refusal of narrative plot deprives the reader of causality, but emphasises the fictitious spatial creation in which the reader becomes immersed. These spaces, by virtue of their disengagement from plot, allow us to revisit the possibilities of virtual space without common preconceptions concerning the creation or experience of digital mediating technology.